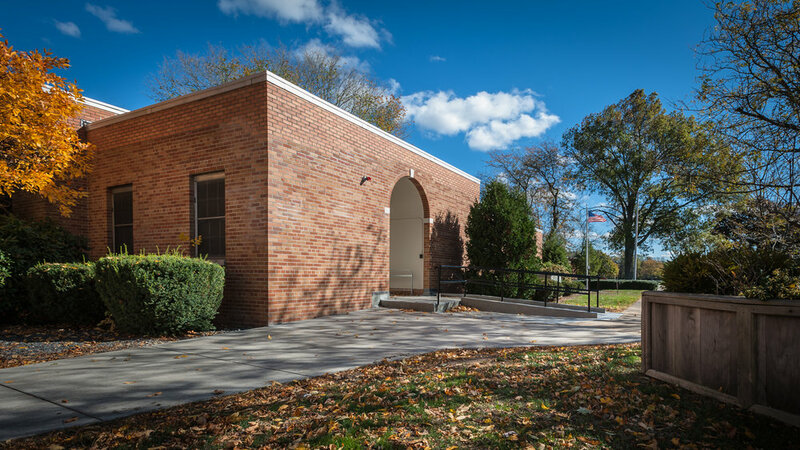 Built in 1953 as a free-standing structure, the Interfaith Chapel at the Brockton Campus of VABHS remains much as it was, with seating for 120 and offices for the chaplains. 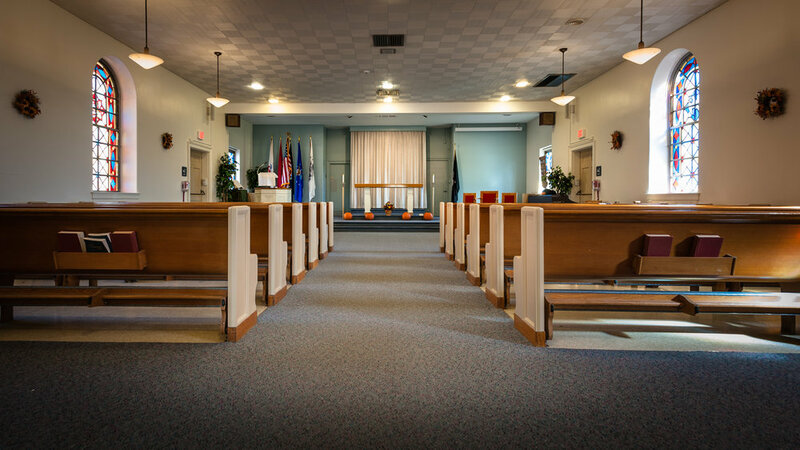 Aside from removing some pews in the 1980s to make the space more handicapped accessible, little has changed about the chapel since it was built. 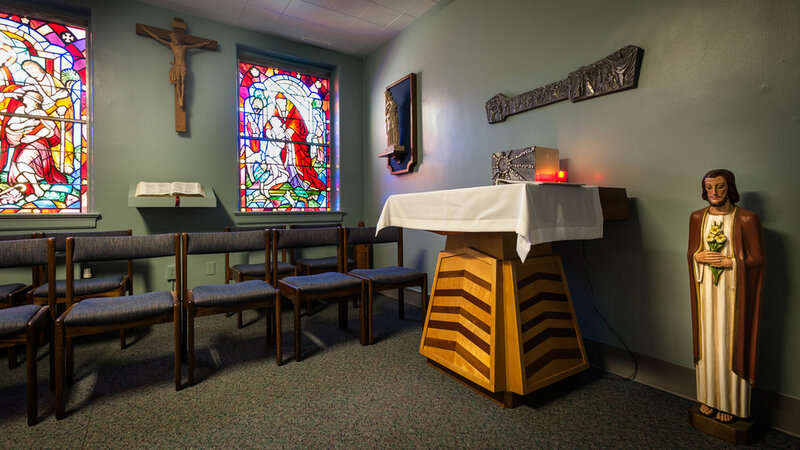 A small Catholic chapel sits to the side of the larger space, which is open from 8:30-4pm daily for visitors. 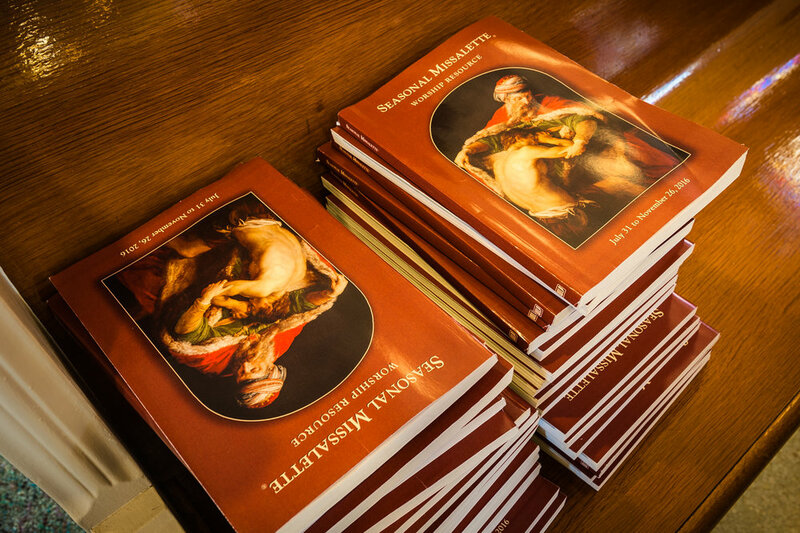 Catholic mass takes place daily, with Protestant services on Sundays. 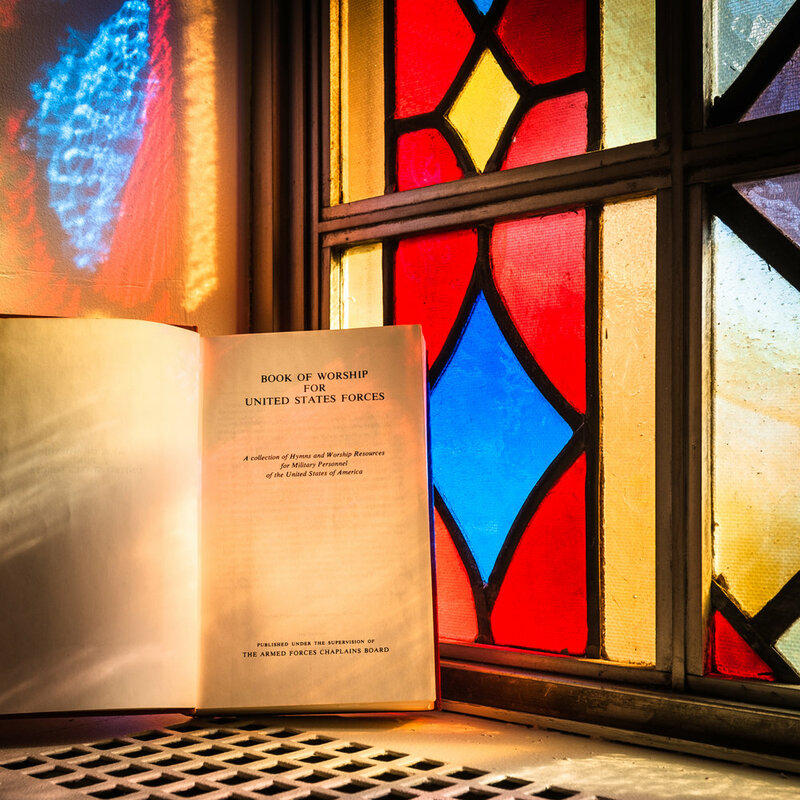 Protestant and Catholic crosses can be hung at the front of the larger chapel, and for Jewish services, there is space for a Torah behind the altar. 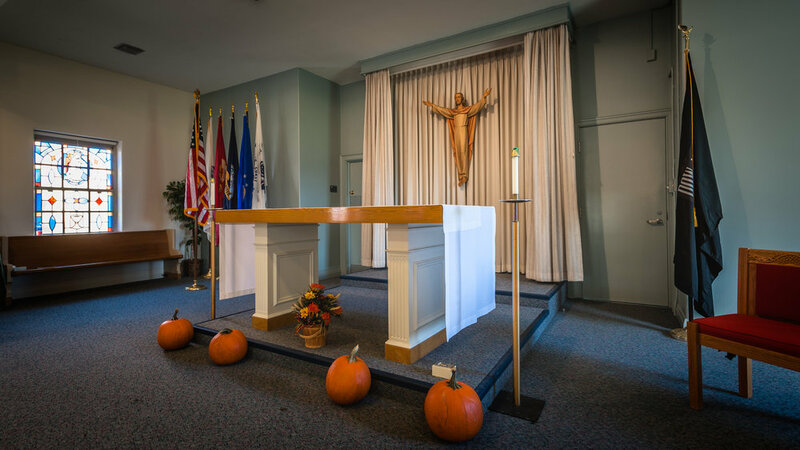 Memorial services for veterans are occasionally held in the chapel, though it is more commonly used for moments of quiet reflection. 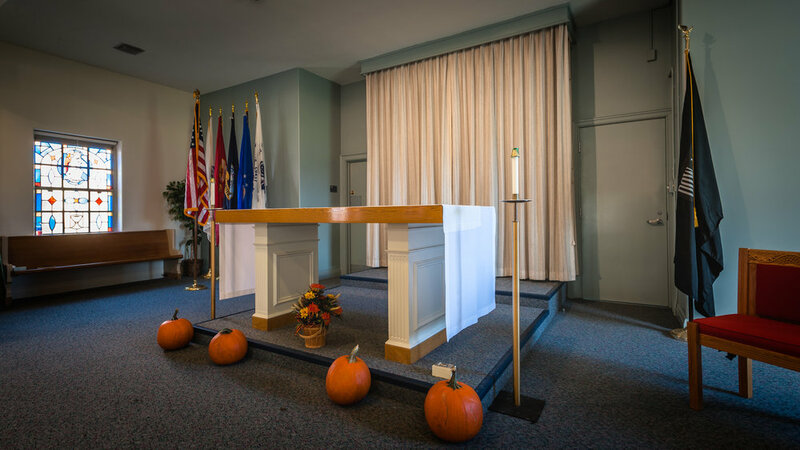 Chaplains from a range of religious and spiritual backgrounds serve patients at the VA who are there for short and long-term care as well as rehabilitation, mental health care and primary care.